From producing music for the BBC to headlining Glastonbury, Nik is an accomplished drummer and drum producer across a range of contemporary styles. The course includes 2x challenge assignments where you can have a go at recording drums and get 1-2-1 personal support and feedback from Nik - golddust advice that will get you on the right track with drum production and keep you there. Basically he'll show you how he works on a daily basis and what he does during a recording session. For each setup, Nik will walk you through the types of microphones he uses and explain how to place them to get the best sound. Because you'll be looking at such a wide range of techniques for recording drums, this course can be applied to recording at home in a very simple setup or you can use the more advanced techniques in the recording studio. If want to start out with drum recording up your game in drum production this course will get you on the fast track! 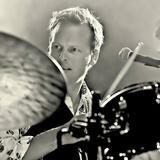 Nikolaj Bjerre is a danish drummer and producer based in Tileyard Studios in London who's worked with many major artists and bands including Lamb, the Ian Siegal band, Ella Eyre, Andrea Corrs, Younger Brother, Heather Nova and Z-Star. From producing music for the BBC to headlining Glastonbury, Nik is an accomplished musician and drummer whose skills include production, programming and writing. He is featured on major labels and independent releases. Nikolaj is renowned for embracing all styles: from organic and rootsy to cutting-edge electronic. Nik is proud to be endorsed by Sabian cymbals, Hardcase and Protection Racket.